Our lust for metal is great. We all agreed that it was hands down the coolest trade show any of us have EVER attended. Sign up now for the next one in 02012 and give yourself two days to see it all. It is amazing to me that – with the exception of Greg’s stuff – that there was basically no robotics on display there. This is bizarre for an industry that has huge labor costs and the most dangerous work environment in the world. 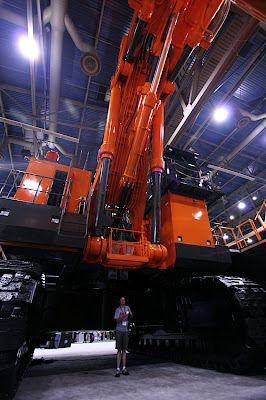 The machines we build to extract metals and minerals from the earth are the most terrifying machines in the world.